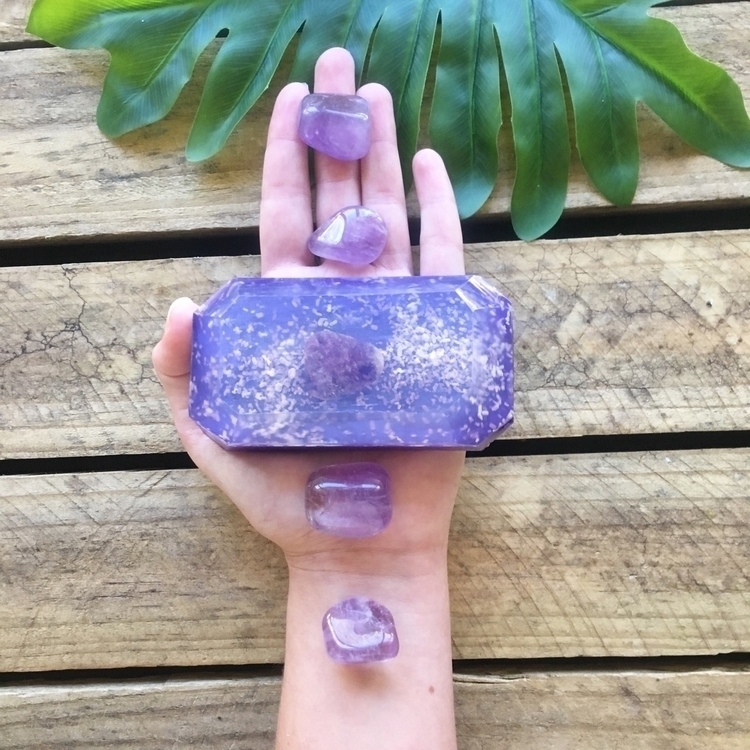 This gorgeous soap is for your Third eye Chakra and is filled with clary sage essential oil and gardenia fragrance oil and has a Amethyst Tumblestone inside. This crystal soap assists with opening your third eye, enhancing you intuition and inner knowing. Amethyst enhances your intuition and gives psychic protection as well as being a powerful healing and calming stone.